Splento is a pioneering photography company that connects people, like you, who want to hire carefully pre-vetted and tested photographers in their area. Splento photographers are on-demand, meaning you can book them with as little as with 4 hours notice in London in just a few clicks and we’ll always have an amazing photographer available. All Splento photographers are extremely qualified because we only accept the top 1% of photographers who apply. And yes, they are affordable. Splento photo shoots start at just £99 an hour. How can Splento photoshoots be so affordable? Does that mean they're poor quality? Exactly the opposite. Splento is not the "budget" photography option. Most professional photographers charge hundreds of dollars for an hour of their time because they need to cover many more hours of business administration. They need to handle their own marketing, billing, networking, branding and much more. Splento does all this for them, enabling photographers to spend much more of their time shooting which means they can charge much less per hour for the same excellent work. What kind of photo shoots does Splento do? Just about anything you can think of. Splento has a large network of top-notch professional photographers who specialize in everything from conferences and weddings to food and family photography. All our photographers are equally experienced and qualified and there is no difference in the level of service you will receive from any of them. Our automated matching system will pair you with a photographer who is qualified for the type of photography you require - this way, we can guarantee amazing results. Where is the proof that this works? How do I know you’ll deliver what you say and deliver it on time? You can trust us to do the job for you. With thousands of happy clients, we must be doing something right. But don’t just take our word for it, see our for yourself. What makes you better than your competitors? Why shouldn’t I find photographers on Google or some other marketplace? All our photographers and photo editors have at least 5 years of professional experience. Every one of our photographers is vetted, personally interviewed by our CEO and quality tested before they join us. Fairer prices than any other on-demand photography company in London. Our photographers can be on location in as little as two hours! Your photos are digitally edited and sent to you within 48 hours, guaranteed. We also have 24-hour and on-the-day delivery options. With our interactive progress bar, you can keep track of your photographer’s whereabouts and the status of your photos, so you know what’s going on and when. We are never late and we never cancel a session. Once you place a booking, you’ll automatically receive a formal invoice to keep your accountants happy. Our dedicated, knowledgeable team are always keen to help make your Splento experience memorable so do not hesitate to get in touch. Your photos are digitally retouched by our team of experts and then delivered to your very own, private online gallery for you to easily download and share. 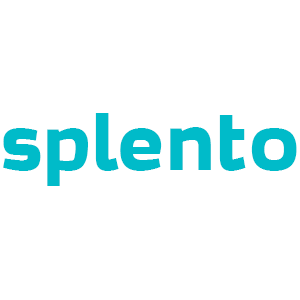 How much does Splento cost? Splento is the solution to suit any budget. You can hire a specialist photographer for an hour and within 48 hours, get 20 carefully selected and expertly retouched photos uploaded to an online gallery which you can share with your family or colleagues for just £99. Our average basket is a 2-hour session and many clients choose Next-Day Photo Delivery (£49) instead of our standard guaranteed (48 hours). We’d like to offer you our average basket: a 2-hour session at a location of your choice and 60 edited images delivered to you the next day for just £99 instead of £189 (that's a 48% discount!). The offer is valid only until the end of the week so BOOK NOW! Scroll down to see our photo gallery and to learn a bit more about us. Don't know when your next event, party or family gathering is, but still want to use this time-limited special offer? Not a problem. You can buy a gift card and use it any within the next 12 months. BUY NOW!